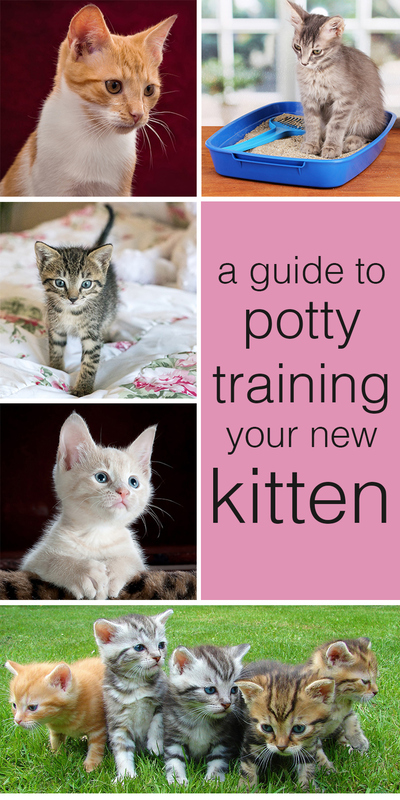 In this article we are going to look at how to potty train a kitten or cat. Do you want to learn how to litter box train a kitten? Do you want to train your cat to go to the bathroom outdoors? We’ve got the advice you need. Potty training a kitten and potty training a cat are essentially the same process. In most cases it should be fairly straight forward. As long as you give your kitten the right equipment and the opportunities to succeed. Most kittens bred indoors will learn to use a litter box when they are still with their mother. They will copy her peeing and pooping into a litter tray from as early as 4 weeks of age. This means that the basic principle of litter training should already be installed in your kitten before she arrives home. What you need to do is teach them that this rule applies in your house, and on all occasions. Do Cats Need To Be Potty Trained At All? You might get lucky, bring your kitten home and have her using her litter box straight away. To have the best chance of this happening for you, set your cat up to win. Make it easy for her to get it right from the start. Remember, accidents encourage further accidents. Avoiding them from the start is an important part. There are a few things that you can do to ease the transition for both of you. Provide her with the right litter box, in the right location, with the right amount of litter. Location is key. Make it easy for him to find and use it. Don’t give your kitten the run of the house straight away. To begin with confine her to a single room. This will help her to be less overwhelmed by her new surroundings. It will also make it easier for her to find and use the tray. Ensure that the room is clean and clear of any debris. Temporarily put pot plants elsewhere. If possible push furniture to the corners of the rooms that do not contain litter trays. This will reduce the temptation to use the wrong location. There are a lot of choices when it comes to kitty litter boxes. Various styles and colours. Different ways of accessing the box, including those with lids or open sides. Working out which one to use can be tricky. The most important thing is that your kitten can easily get in and out of the little box. Some adult cat sized boxes have very steep sides, which can be tricky for a kitten to climb. Potty training kittens need easy access to prevent them from simply going to the toilet elsewhere. If you kitten is relieving himself next to the litter tray instead of in it, then take a look at the access point. Is it too much of a struggle for his tiny legs? If it is difficult to climb in, most kittens will not bother. What Is The Best Litter Box? The best cat litter box the one which suits you and your cat the best. This will not be the same for every family. It is essential that it is convenient for your kitten to access. This will normally mean having a low lip at one side. When you have chosen a functional tray, you need to consider hygiene and possibly appearance. Function must come before appearance. If you decide to get a litter box with a lid, leave it off for the first few days. This will help him see that the tray is full of kitty litter to dig about in. Litter boxes for cats which have cat flap style doors are entirely enclosed. These cat litter trays can appeal to you as an owner because they trap stray litter, smells and unpleasant sites inside. But they are not ideal for tiny kittens, who don’t want to have to go to the effort of navigating a door every time they need to empty their bowels or bladder. What Is The Best Cat Litter? If you haven’t used a litter box before, you might be surprised to find how many different cat litter choices there are. We have tried various types when Oscar was cat toilet training, and found very varying results between brands. Our personal favorite was the clumping variety, which allows you to easily spot and remove any pee as well as poop. But our cat has very short hair. If you have a long haired kitten or cat breed you will need to be careful which brand of litter you choose. Some clumping varieties can get stuck and matted in their fur. You can buy scented litter, and although these can improve the odor temporarily, you shouldn’t really be leaving their waste in the tray for so long that it causes a stink. The cheapest option will probably not be ideal for some cat owners, but is worth a try if you have a short haired cat who is good at keeping himself clean. 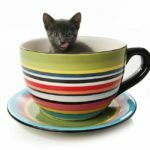 How Much Cat Litter Should I Use? Your cat litter box will often come with a recommended fill line, to help you establish how much litter to put in. But don’t worry if your chosen box does not. You need to put in enough litter so that your cat can dig down and cover up his waste, but not so much that it flies straight out of the box as soon as he starts to move it around. This will usually be around an inch deep, but will depend upon the type of box you have bought. You might find that you have some spill or some uncovered poops the first couple of times your cat uses his litter box, but don’t worry. Just adjust the quantity over the first few days, until your cat can cover his poops, but doesn’t leave litter flying everywhere. 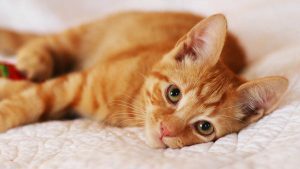 The cat litter you choose to put in his litter box or litter tray should not be dangerous to him or to you, unless you are unlucky enough to be allergic to it. But there are two risks and potential dangers to using an indoor litter tray for your cat, which you will need to consider. The biggest risk comes if you are a pregnant woman, or one who is currently trying to conceive. 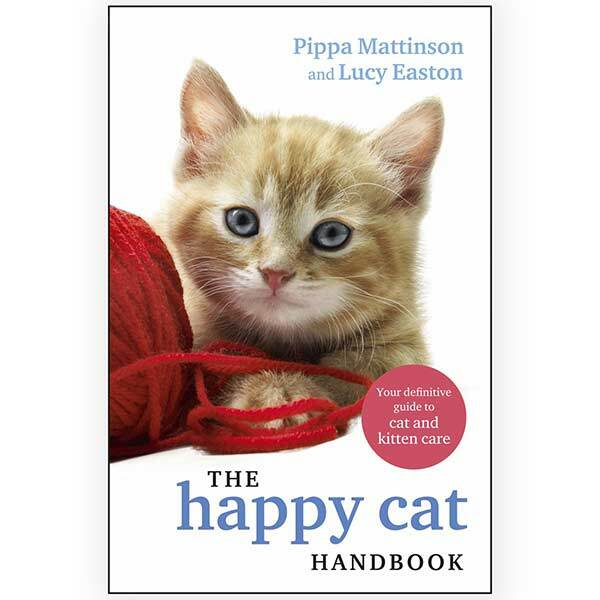 There is parasite that cat poo often carries, which causes an infection called toxoplasmosis. Whilst fairly harmless in general, toxoplasmosis can damage a developing foetus if you catch it just before conception, or in the early stages of pregnancy. For this reason, it is sensible if you are trying to conceive or pregnant not to clean out your cat’s litter tray, or even ideally not to have a litter box in the house at all. Although the risks of catching it aren’t enormous, if you do catch it the consequences to your baby could be very serious indeed. The other risk of cat litter is simply one of hygeine. Cat poo carries a lot of germs, and if you leave it too long it will potentially start making your family unwell. You can reduce this risk significantly by having a structured cleaning regime for dealing with your cat’s waste. Putting poop or urine soaked litter into a diaper bag before carrying it straight to the outdoor trash can. Where To Put Cat Litter Box? 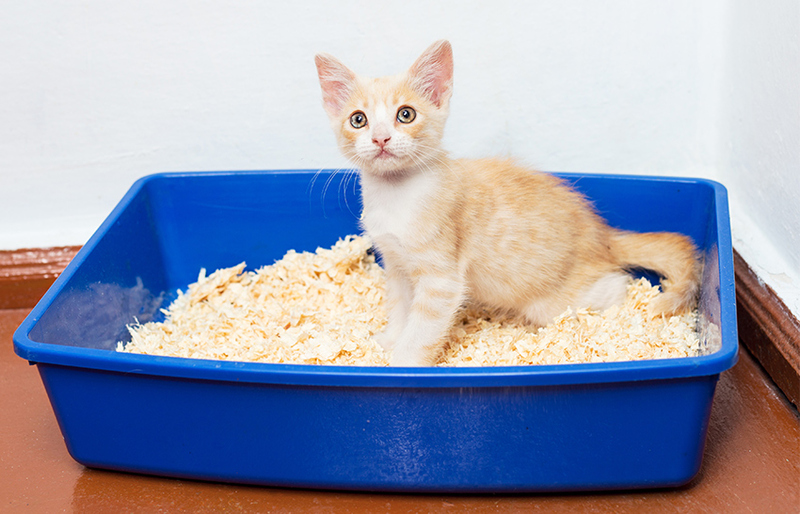 Litter box location needs to be based on two factors – convenience and hygiene. The best location for a cat litter box is somewhere away from food preparation, but within your kittens easy access. Make sure your kitten knows where the litter box is located, and that he doesn’t have anything blocking his way. Don’t close any doors between him and the box, and make sure he can see it from wherever you are going to spend most of your time with him. It is also advisable to put a litter box in the corner of the room, as animals naturally use corners to go to the bathroom. If you find that the litter box is in one corner and the kitten uses another, then simply move the cat toilet to that location or put an alternative there. Help the cat litter box training along by giving them clear signals like this about what the desired behaviour is. Remember – never punish your kitten or cat for the mistake. It won’t teach them anything, other than to be wary of you, and not to go to the toilet when you are watching. Making it even harder for you to help them learn in the future. You might want your cats litter box to go in the bathroom as this feels the cleanest to you. However, if your bathroom door is always closed or is a long distance from where your kitten usually hangs out, then you will make it far harder for him to learn to use it. Remember, your litter box can be moved slowly over the period of a few days. So that first position doesn’t have to be the one it will remain in. 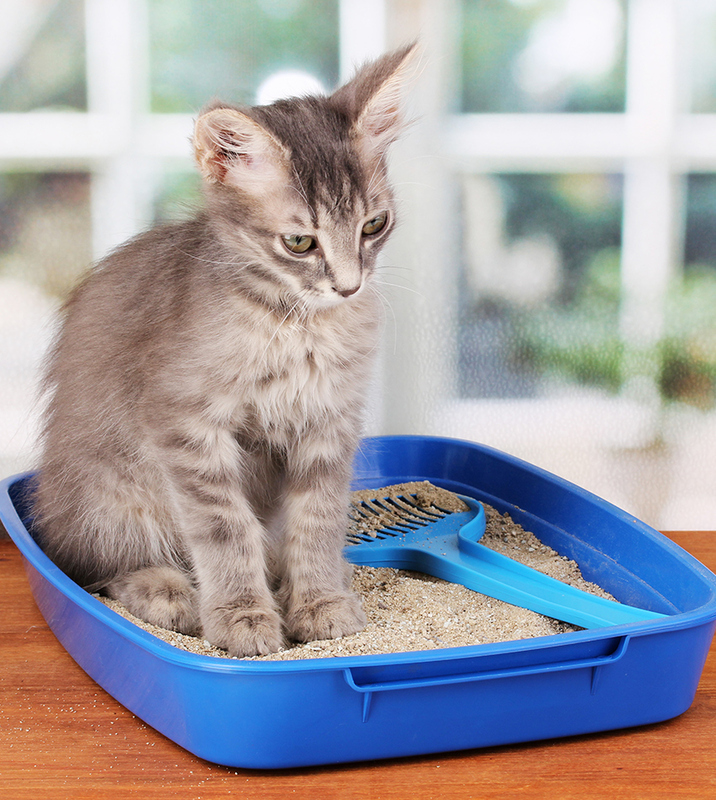 How Often Should I Clean Out My Cat’s Litter Box? Your cat’s litter tray should be cleaned thoroughly once a day with a pet safe detergent. This will stop residues of faeces and urine from sticking to the litter box. You should after scoop out any poops or pees you spot immediately after your cat has done them. If you are out of the house for a few hours, check the tray when you return and remove them then. How Do I Clean My Cat’s Litter Box? To clear your cat’s litter box for the main clean, first tip all of the litter into an appropriate refuse container. Such as your wheelie bin or large outdoor trash can. Then rinse the base of the litter tray out, preferably using an outdoor tap or hose. Spray liberally with a pet safe detergent spray, then wipe clean. If your litter box also has a roof or lid, spray this and wipe clear too. Then refill the tray with fresh clean litter. For on the go waste removal during the day, have a slotted poop scooper in a convenient place. Use this to scoop the cat poops straight into a disposable plastic dirty diaper bag. Tie the top and put them straight into an outdoor trash can or diaper genie. Remember to thoroughly wash your hands after coming into contact with the tray and poop scoop. 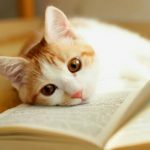 In this section we will have a quick look at some cat litter training problems, and how best to resolve them. If your cat refuses to use your litter box, then you will undoubtedly be very frustrated. To resolve this issue, you need to go back to basics and pretend that you are toilet training kittens. They don’t know better yet, but they will learn soon enough with just a little bit of help. Move your cat temporarily to a single room in the house, where it is possible to close the door. Put a litter tray in each corner. Your cat should start using one of the trays in this scenario fairly soon. After a day they will hopefully have a preference for just one, and you can remove the others. After a couple of days open the door and allow access to one single further room or the hallway. Increase the area they can access by one room per day, reducing again if there are any accidents. Make sure that the confined areas have constant access to water and lots of toys to keep them entertained during the few days you are focussing on litter training. Having a cat who messes in the house can be very upsetting. The first thing to do if your cat messes in the house having been previously clean, is to pop down to the vet to make sure it’s not as a result of illness. Certain cat ailments can be very dangerous, so a quick chat with the vet is a sensible course of action. When you are sure it is not a medical issue, you can set about helping him to learn where it is appropriate to do his business. You will probably find that your cat is messing in certain areas of the house, rather than just anywhere he pleases. These are the locations to put down litter boxes. You might have to invest in a few new litter trays, but basic models can be found very cheaply for pet stores or online. Fill the litter tray with litter and put it so that it covers the area your cat has been using. If you are feeling brave and have some rubber gloves handy, you can even put a little of the mess you have cleared up into the centre of the box to help him understand your intensions. Reducing access to larger areas of the house will also assist you. Un-neutered male cats may spray around your house. This is a biological urge brought on by reaching sexual maturity, and unfortunately one which is very difficult to resolve. However, if your adult female or neutered cat begins to pee in the house, then it might be caused by a urinary infection. Take her to the vet for a thorough check up, and follow their advice for treatment. Teaching a litter trained cat to go to the bathroom outside is a straight forward process. The best time to do this is when the weather is dry, as it will be much easier if the back door is kept open. Take your litter tray and move it closer to the back door by a few feet. Over the course of the next few days move it so that it is beside the door, then so that it is just outside the door. If your cat keeps using the tray then you can move it to the flowerbed or further into the back yard. Removing it after a week or so. They should then keep using the same spot or find somewhere else in the garden to go to the bathroom. What If My Cat Keeps Pooping In The Old Spot? If your cat continues to poop in the corner where the litter box used to be, then the best option is to remove their access to that spot completely. Put an item of furniture in the way to prevent them from getting near their usual spot. Clean very thoroughly the entire area surrounding this, so that there is no residual smell of the litter box to attract him. If possible, remove access to that room entirely for a short time to help him to understand that it is the box and not the location that you want him to use. 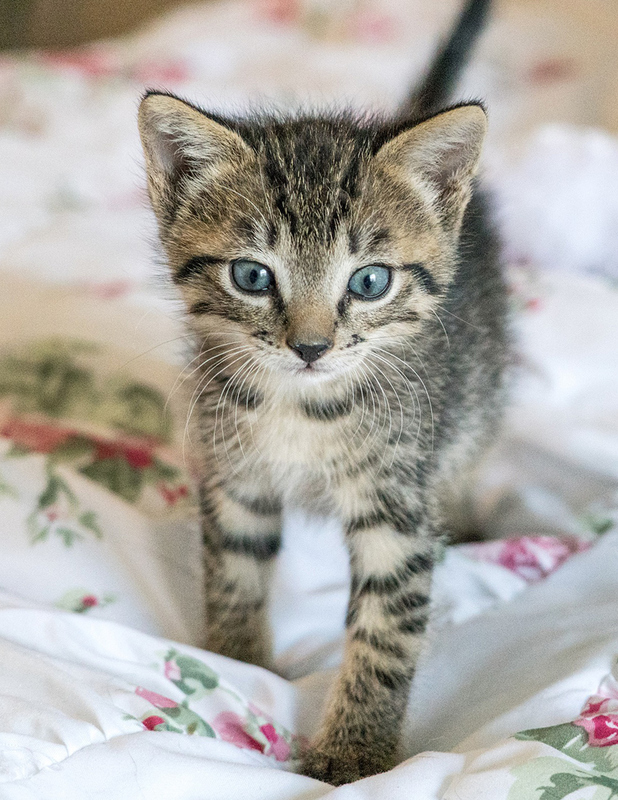 To potty train a kitten you will need a litter box they can access easily, a small area for them to focus on and some good quality kitty litter. If you gradually increase their living space, they should keep using the tray and stay clean in the rest of the house. Most kittens are easy to litter train as long as you make sure that you have the right equipment, and the right sort of space for them when they first settle in. 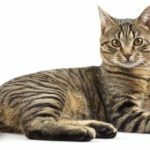 Free Updates For Cat Lovers! I was shocked when my rescue cat showed no inclination to toilet outside and it took a while to get her used to outside rather than inside. I agree that removing access completely to where they used to toilet works – unfortunately the first time I did this she still went inside the house and opted for another room! I was able to restrict her access to just the kitchen and she quickly learned then to use the big outdoors (she opted for the closest garden and at this early stage keeps returning to the same spot). I guess in time she will extend her range a bit. Your advice to thoroughly clean up any trace of her old smells around old toileting places was the answer I was looking for regarding when it would be safe to let her have access to the restof the house again. I shall get a blacklight and find any traces I have missed, including where she has sprayed. Thanks for this article I found it very useful. 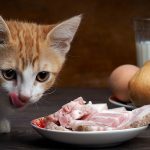 Can Cats Eat Ham As Snacks, Or Have Ham As Part Of Their Diet?